Daniel is a Public Historian and Public Arts professional with over 20 years of experience and a lifelong commitment to human rights and justice. He is the former curator of Troy University’s Rosa Parks Museum in Montgomery, Alabama. 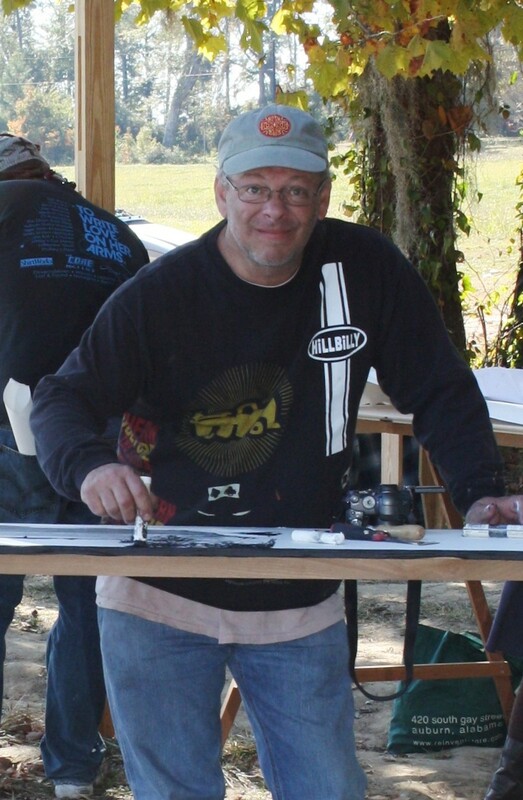 He is a professional artist, exhibition and graphic designer, builder, and community activist. 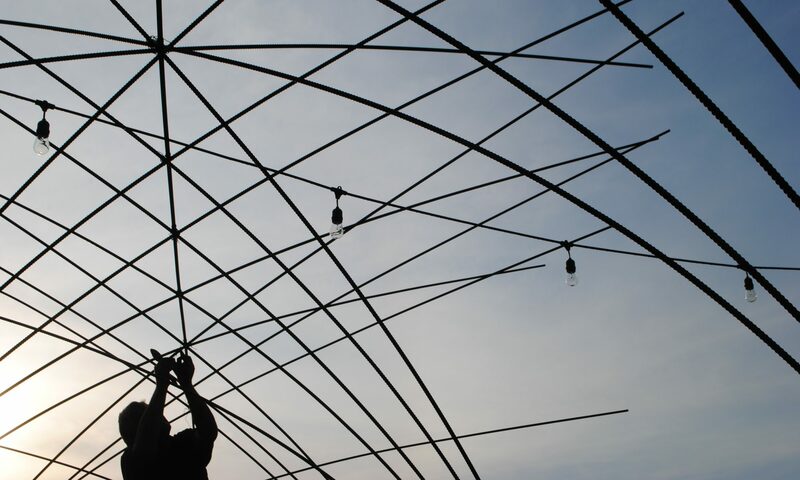 He builds small-scale community architecture and events, as well as designs arts programming and education. He works in multiple media, including: painting, printmaking, photography, videography, metal sculpture, and full-scale landscape + architectural constructions. His work has been exhibited across the state of Alabama and internationally. Johnny Green Ph.D is a community leader, Professor of Business and Vice President of Outreach for Student Affairs at Auburn University. He connects students with faculty mentors and engaged learning opportunities to work directly with local communities and make an impact. 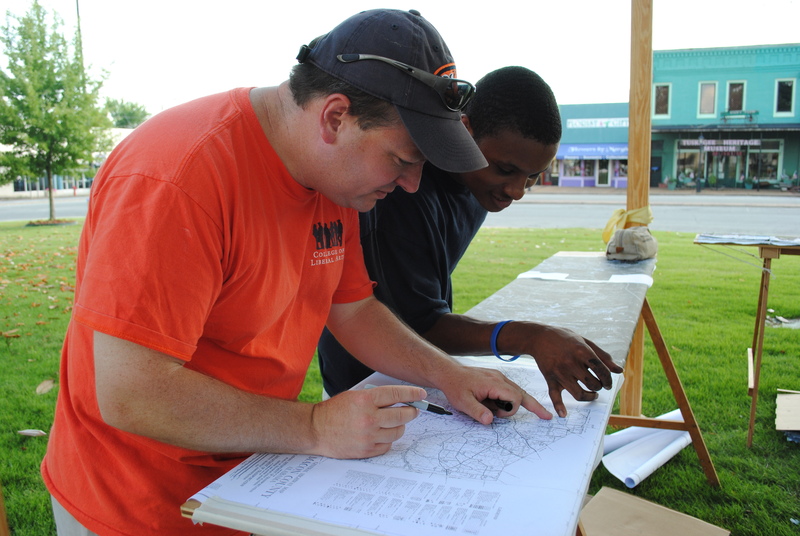 In partnership with AU Outreach, Mobile Studio offers teaching and engaged learning opportunities at The Macon County Food Pantry and Community Kitchen Project in Tuskegee as well as with City of Opelika’s Community of Hope Initiative. Dr. Green’s long-term goal is to create a civic engagement institute at Auburn that reaches local communities to addresses health inequities, build local capacity and create innovative entrepreneurial opportunities through hands-on projects and multi sector funding. Mark is the director of the Carolyn Marshall Draughon Center for the Arts and Humanities and coordinator of community and civic engagement in the College of Liberal Arts, or CLA. He earned a doctorate in history from Auburn University and has assisted CLA in outreach efforts since 2006. He teaches Introduction to Community and Civic Engagement, coordinates practicum courses for students minoring in community and civic engagement, and directs externally funded projects with communities, faculty and students. He is an Appalachian Teaching Fellow with the Appalachian Regional Commission, secretary of the Alabama Historical Association, a member of the board of directors for Bridge Builders Alabama and Just Connections, and an advisory board member of Jean Dean Reading is Fundamental. Current projects include a mentoring project in Macon County funded by the Appalachian Regional Commission; Living Democracy, an ambitious experiment in long-term collaborations with students and communities funded by the Kettering Foundation; and an internship program with the David Mathews Center for Civic Life in Alabama. Barry Fleming, is an original instigator of the Mobile Studio envisioning a way to get art students and students of all stripes out of the classroom to really study the world. He has been a Professor of Art and former Chair of the AU Art Department for 100 consecutive semesters. Her received a Master of Fine Arts degree in painting from the University of Tennessee in 1988, and a Bachelor of Fine Arts degree in painting and ceramics from Western Kentucky University in 1985. He served as department chair for three years, and as Director of the Department of Art’s Exhibition and Lecture Program for thirteen years. In this capacity, he curated, originated, and/or provided exhibition design for over 300 art exhibitions, and brought numerous scholars and artist to Auburn’s campus. Paintings by Barry Fleming have been routinely exhibited in solo, invitational, and competitive exhibitions. Guy Trammell is the Director of Tuskegee Youth Safe Haven and the Macon County Food Pantry. He has been a partner with Mobile Studio since its inception and key to our model of community engaged scholarship. Together we have advanced hands-on collaborative learning models, participatory action research, scholarship and best practices in the areas of Civic Health, Food Security, Community Wellness, Mobility and Access, and Design Thinking and organizational partnerships. MOBILE STUDIO has created long-term academic parnterships with the University of Richmond Bonner Center for Civic Engagement, Birmingham City University School of Architecture and Design, Birmingham England, University of Capetown School of Architecture, Planning and Geomatics ZA and Auburn University Outreach, College of Liberal Arts, in Alabama.